Don’t tell Nottingham, but Bru almost makes me wish I lived in Leicester. I love the concept of a coffee shop staying open until 11pm, and after trying their cakes at the East Midlands Meet Up I couldn’t wait to go back. 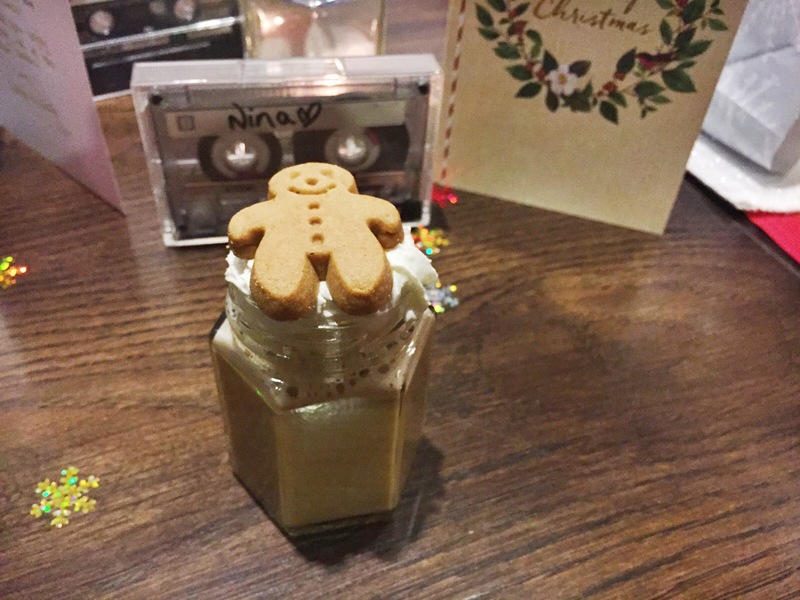 On 1 November my wish came true when I got to try out their Christmas menu with some of the other lovely East Midlands bloggers. First up we got to try three hot drinks, which came in the cutest mini mason jars. We had a gingerbread latte, Oreo hot chocolate and orange hot chocolate. They were all delicious, but I’m still dreaming about that orange hot chocolate. Next up were the cakes – oh, the cakes. Some of the new Christmas menu includes a chocolate bundt cake, Black Forest roulade, lemon tart, cherry and amaretto cheesecake…the list goes on. I was surprised that my favourite on the night was the Black Forest roulade, since it didn’t look like my kind of thing. It was so good and the cherries really set it off. We took a big box of cake home, and the next day I tried the chocolate bundt cake warm. Oh my. You can have it like this at Bru with a scoop of ice cream, which I definitely recommend trying! It wasn’t all about the cake of course, but a great chance to catch up with some fellow bloggers and get into the Christmas spirit. We even had a Christmas quiz where we waved a candy cane in lieu of a buzzer. Too cool. Thanks to Izzy for getting me an awesome secret Santa present – a This Works Deep Sleep kit. I love these types of products, so thank you Izzy! Thanks as always to Emma from Carpe Diem Emmie for organising, and to Bru for having us. You can try the Bru Christmas menu for yourself from 14 Novemeber. Now please open a branch in Nottingam! 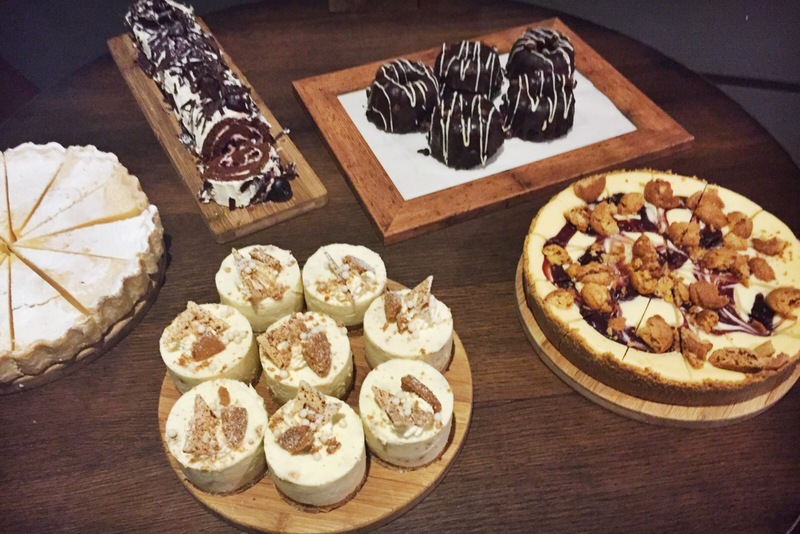 This is not a sponsored post, but Bru did give me my own body weight in cakey deliciousness. Lucky me. Such cute mason jars! And the cakes look gorgeous! What a great way to get into the Christmas spirit! !